Based on what I saw in the various failure pictures, it seems to me this was a design problem not a manufacturing problem; if this is correct it therefore affects ALL Terns made before the weld design was changed and augmented, and the recall is a red herring. There will therefore very likely continue to come cases to light of frames that broke exactly as the others did and not be part of the recall. If Tern had any business sense, they would speedily replace this guy's two frames with the improved versions, no questions asked, and pay for his expenses, and get a non disclosure agreement. I don't think this customer wants another folding bike...especially from Tern. What about the hundreds if not thousands riding these bikes that have not been recalled that have the same problem??? FYI I went to Tern's forum yesterday and I was officially kicked out However it seems that they changed the forum to hide the tern frame failure thread. Is that true? Anyone have access to the forums? I have a backup copy at home, but I'm away teaching until December and won't have access until then. I just noticed they changed their recall page. Take a look at https://www.ternbicycles.com/2014-li...luntary-recall . It all looks fishy to me....the recalled bikes have a serial number why not share the recalled serial numbers. Why require all this stuff. Something is not ok. It's a good thing they sued me over the summer. They provided an address and partial corporate structure in the complaint. Hopefully this helps future victims. Bicycle delivery worker for Jimmy John's. Delivering is the best workout I have ever had. Holy crap. The Link is the lower cost series, and I presumed to be heavier, tougher frames. It was my impression that all the failures were Verge series; now it looks like the problem is in the design and company-wide. Dr. Hon needs to tell his idiot family members to get out of the bicycle business. They're bad at it. The design problem was no weld in line with the frame yes? Solution was adding the gusset plate. What about other bikes with mid fold hinges? Crius, Fnhon, Dahon etc. Did they do it right? Holy crap! Ok I didn't think one could get into that much trouble. I guess I seriously need to replace my bike / frame. Speedy recovery to you sir. Would really love to see the photos. I'm still trying to understand what's the mechanism of the frame welding failure that could happen. Oh my gosh, so they fail at the welds! So I guess I'll have to scrap Mark Bickerton's idea of replacing the frame of my Tern Link. 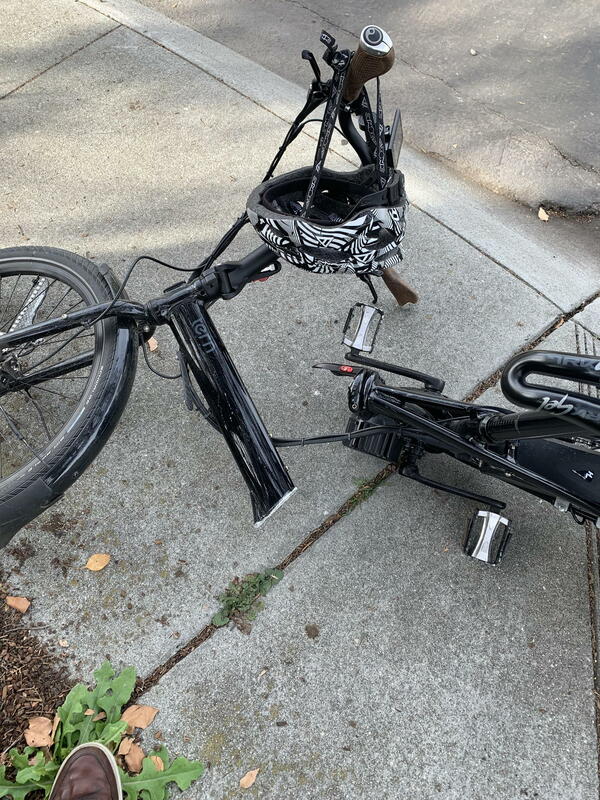 Interestingly enough I have just made a search for "Dahon Frame Failure" but all the images returned were of Tern bicycles? Saw this. Could be an old model. Also, the bike has an electric motor. It's possibly dead because this thread is dated in 2016? If you want to find a current recall, you should visit https://www.bikeforums.net/recall-announcements/ and if you cannot find it, try a search engine you like or ask the staff. Last edited by Rollfast; 04-11-19 at 08:42 PM. It is dead because I think there is censorship bot in this forum. What you can do is click on the link and replace the asterics with "redd it" dot com. The hinge failure is recent ( like maybe several days ago), but the bike could be old model plus modded with electric motor. The link should work if its embedded in text, for example CLICK HERE. Thanks for the link! Looks like Tern's learning curve on how to weld is not quite finished. At least they know how to produce slick websites and pr. "Warning: My Tern Cargo Node + BBSHD split in half while riding yesterday. Just under 2k miles and it broke in two while slowing down at an intersection. Could have been much worse! This is not a safe conversion." OMG!!! This is from 3 days ago,...and it's the newer Tern Cargo Node!!! Oh ... somehow I missed the part that it was a different kind of bike. I thought it was just a normal bike with a rack. The redd it link I posted was not the original owner's link. I believe the one below is the original. Sorry about that. Post a word, then use the "chain link" in the bar up top to add the site link,...posting a direct link to that site is apparently taboo! LOL!!! I believe it has to do with spam and such. I noticed that as well. 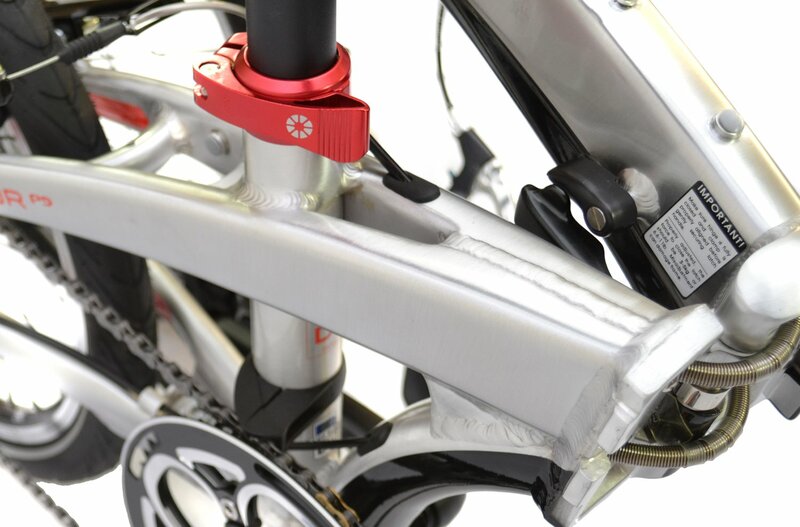 The frame joint looks like the earlier version (with no gusset plate) that caused problems on earlier bikes though. Would be very interested to know where the frame was made (Vietnam, China, or Taiwan). The frames with the gusset plate are all Made in Vietnam. 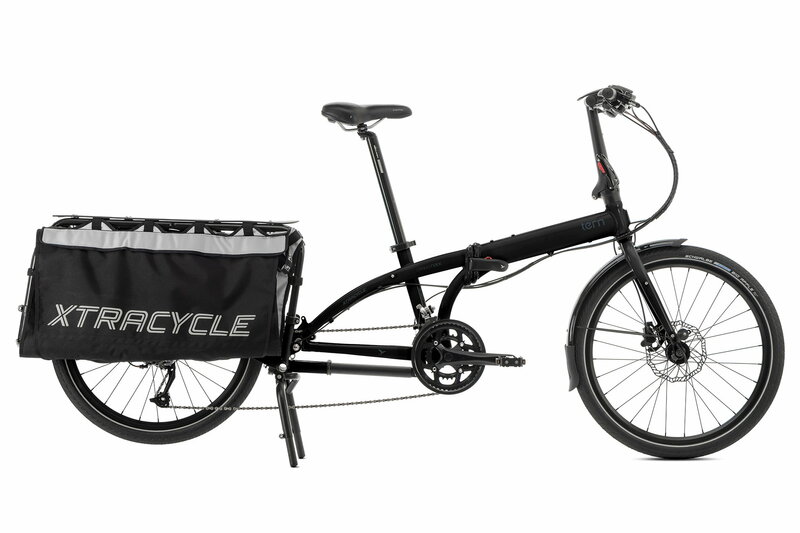 - The bike in question was a Tern Cargo Node - a cargobike, basically consisting of a Tern Link Frame (as far as I know) with a factory fitted xtracycle rear frame cargo extension. I do not know if the frame of the cargo node is different or stiffened in compariston to an ordinary Tern Link frame though optically identical for the innocent watcher. - he had fitted an electric motor to the bike. A Bafang BBSHD mid-drive motor at the bottom bracket. The BBSH is rated at 1000 Watts. Tern themselves do sell the cargo node with an electric mid-drive motor, but only one with 250 Watts. The force of that retrofitted motor is clearly far higher than what Tern offer themselves, so basically he used the bike outside the specification. The BBSHD puts out an incredible amount of torque. I could take off like a rocket from a stop, something most people couldn’t do. I’m sure that put a lot of stress on that joint. - As usual we do not know if the breakage developed over time or happened completely all of a sudeen, maybe starting secretly at the underside of the frame. So while it is the same well-known area where the bike broke it seems maybe a bit questionable in this case to simply claim it was Tern who still are unable to weld. With the extra force of that extremely powerful motor the bike was used far out for what it was designed, specified, rated and tested. Luckily the rider did not suffer injuries. Maybe a sign of warning to people to put the most powerful motors on any given bike w/o knowing the limits or paying respect or attention to the forces that the frame will have to deal with. Just because things fit mechanically it does not mean it is a good idea or a valid combination. Last edited by berlinonaut; 04-13-19 at 02:57 AM. I'll say it for the third time this month, that site URL is directly blocked because the place is just too potentially OTT and not safe for 16-20" riders and not pleasing to Donny and Marie even. If you can find a different source, try, a lot of their stuff originates elsewhere anyway. Last edited by Rollfast; 04-14-19 at 07:14 PM.